The team at Access Publishing welcomed writer and copy editor Skye Ravy this month. Scott Brennan, CEO of Access Publishing, has brought Ravy onto the team to help create and edit news stories for the Paso Robles Daily News, the San Luis Obispo County Visitor’s Guide, as well as to create press releases, blogs and web content for online marketing clients, and copy edit many of the other publications released by the company. 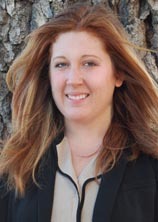 Prior to joining Access Publishing, Ravy was a reporter with the Paso Robles Press, and a contributor to Vino Magazine and Equine Enthusiast, and also has experience as an entertainment blogger with Kernelcritic.com. Ravy’s favorite things to write about include politics, entertainment, environmental issues, and topics that celebrate the beauty and history of Paso Robles and San Luis Obispo County. Before revisiting a career in journalism, Ravy was an artist and art instructor through her own company. She also enjoys making jewelry, making pottery, and even creating music. Raised in Santa Barbara, Ravy first moved to San Luis Obispo in high school. After graduating from San Luis Obispo High School, she met her husband Paul Ravy while attending while attending college, where she studied English with a focus in Journalism. The two traveled the county together, and after living on the east coast for three years and visiting over 20 other states, came back and settled down right where they started. “This whole county has been nothing but wonderful for me,” she said, “I met my husband and some of my best friends here, and I feel grateful every day in this paradise of rolling vineyards, oak forests, and stunning coastline, complete with gorgeous weather and kind hearted people.” The Ravy’s plan to stay on the Central Coast for many years to come.